This site describes and pictures the 1955 Rose Hill High School graduating class. 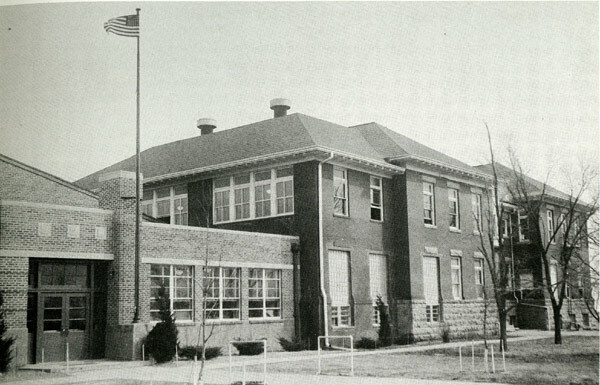 The school building in 1955. The one story addition on the left was the gymnasium. The older, main building was two stories of classrooms and also had a basement. This site is assembled by 1955 graduate, Jack Phillips. It is a cooperative effort; however, I am the editor "at fault". Additions and suggestions are always welcome. Visit the "Contact" page to send stories, pictures, or comments.